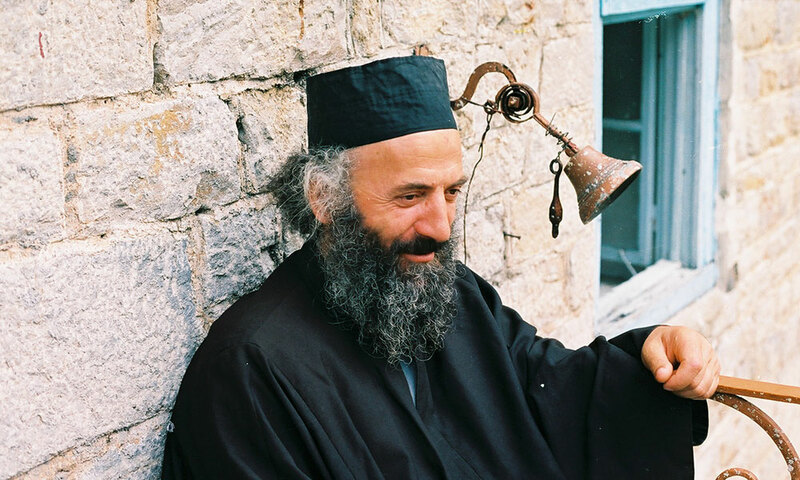 Father Lazar was born in 1948 in Kokorina, a village near Gacko, in a highly respectable Herzegovinian family, of very honest parents. Ilija Adzic and Jelica (Magdalene was her monastic name during her later years) Janjic, were regarded as a very hospitable and trustworthy people by their neighbours. His father was the eighth and the youngest child. At his baptism he was named Milko after his uncle who was killed by the Ustasha in Pridvorice. On that occasion the Ustasha killed in the most cruel manner 341 souls, that is the entire village. Only Milko made an attempt to escape the knife. Some Ustasha saw him as he started to ran, they hunted him down and hacked him to pieces. Lazar’ father remembered how as a child he used to hear his aunt lamenting her brother Milko’s death while she watched the sheep. Two younger brothers of Father Lazar died in their early childhood. His other brother Momcilo was killed by a bomb when he was fourteen. At that time, many children were injured or killed by the unexploded bombs which had been left behind during the Second World War in the fields and forests. Father Lazar also recounted how his mother continued to set a place on the table for his brother Momcilo at lunch time for a long period of time. He finished the eighth grade in Nevesinje where his mother’s stepmother lived. She was very kind to all children. His mother and father could not accompany him to Nevesinje, but fortunately his mother remembered that the horse would know the way to the grandmother’s house. They put him and his sister on the horse’s back and escorted them to the end of the village. His sister attested that from that point on the horse just kept going and went through Nevesinje as if someone was invisibly leading it by the rains. As soon as the horse came to the step-grandmother’s house, it stopped in front of the doors and whinnied. She appeared at the doors and sincerely rejoiced when he saw the children as if they were her own. When he finished elementary school he confided in his sister that most of all he wished to study to became a priest, but that he was afraid that his father and his uncle, whose opinion mattered back in the day, would not let him. During the time of the communist regime, hardly anyone allowed or encouraged their children to enroll into theological schools. Instead, he had to enroll into the High School for Tourism and Hospitality in Mostar. As soon as he had finished he decided to move to Sarajevo with his first cousin and enroll into the Faculty of Economics. There he finished the College of Economics. Later, he continued his studies in Belgrade. The reason for the interruption of his education was the recruitment into the compulsory military service. He was conscripted into navy, the most demanding branch of the military because it entailed the service of three years. Upon completing the service, he found employment in Sarajevo as a secretary at the school of music. Father Lazar spoke very little about his life before becoming a monk. Based on a few known events from that period, one could still get a sense of what kind of a hidden treasure he was, one that was not known by most people. But God sees His servants and prepares them for Himself from their earliest youth. He differed from other children in his early age mostly by his placid nature, which appealed to both the young and the old alike. He never imposed himself on anyone but, when needed, he was always there to help. His decision to go to the monastery was a terrible shock to the entire family. His brother and his brother-in-law came to Sarajevo to plead with him not to carry out his intention. Father Lazar recalled that his brother-in-law’s face and shirt were literary wet with tears. He described this period as very difficult and harrowing. One morning the Father noticed that his parents behaved strangely and that something must had happened to them during the night. He insisted that they tell him and in the end his mother admitted that, when they went to bed, suddenly, two lightings appeared making a blazing cross in the room. They could neither sleep the whole night, nor could they speak a word. From that day on they were much softer, especially the mother. 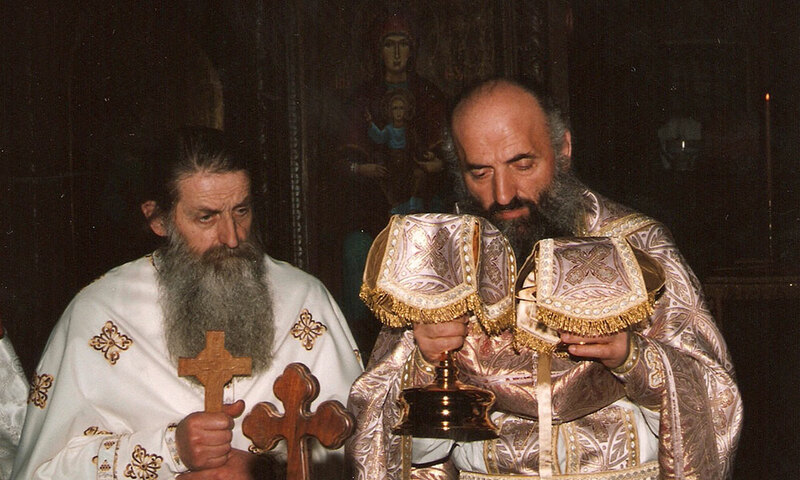 When he came to Sarajevo he said goodbye to his friends, took a blessing from Father Perisa Vranic, his spiritual Father, and went to the Hilandar monastery. He spent less than two years in Hilandar. As he began to lose health, he decided to return to Serbia. He came to the Pustinja monastery. 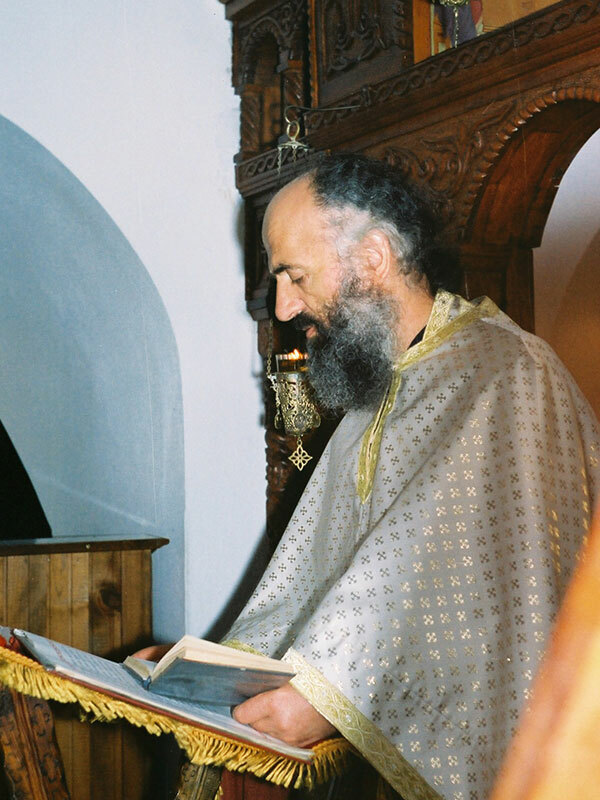 After little more than a year, Bishop Jovan Velimirovic, a nephew of St. Nicholai of Zica, relocated him to the Celije monastery to serve the sisterhood. 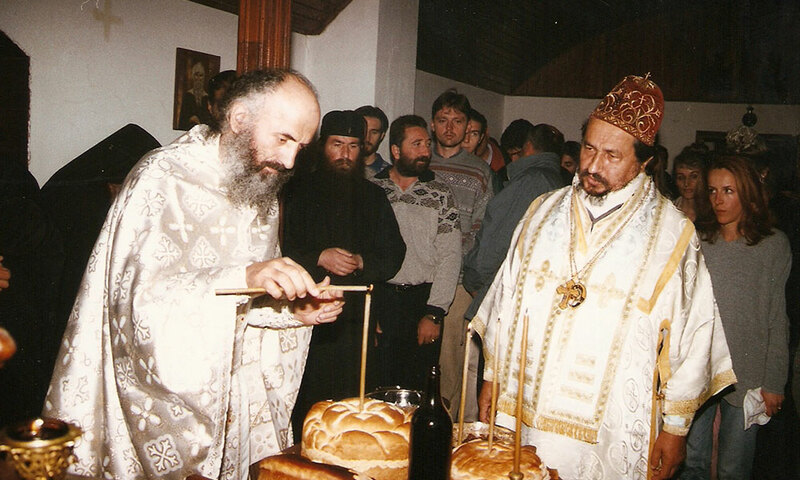 The Bishop had previously ordained Father Lazar as hieromonk while he was still in the Pustinja monastery. He did not stay long in the Celije monastery. He decided to come to Montenegro. 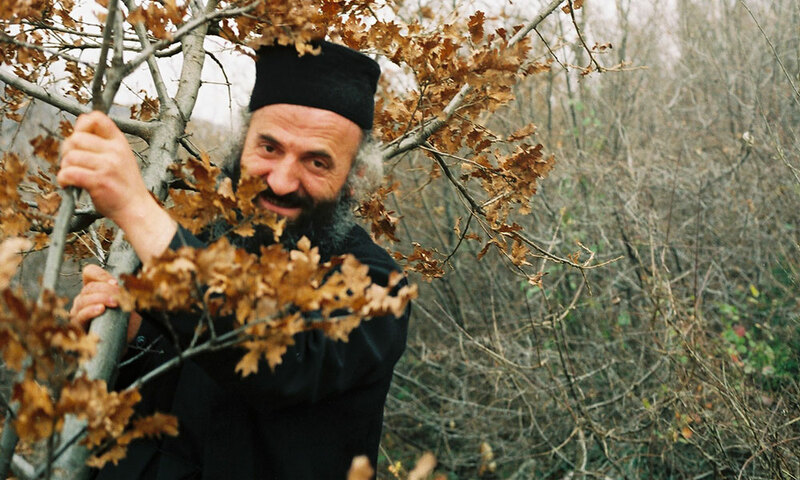 He came to the monastery Ostrog in 1984 and stayed there for three years. Immediately he began his spiritual work. This is where he began working on the spiritual rebirth of Montenegro. This seed, which had been sown then, Father Lazar carefully nurtured until his last breath. He spent some time in the Upper Ostrog as a custodian of the relics of St. Basil. His life was becoming more difficult because of his deteriorating health. He had rarely had the opportunity to serve the Liturgy. Because the Upper Ostrog monastery was visited by large crowds of devotees, he could not go to the Lower Monastery to serve the Liturgy for days on end. 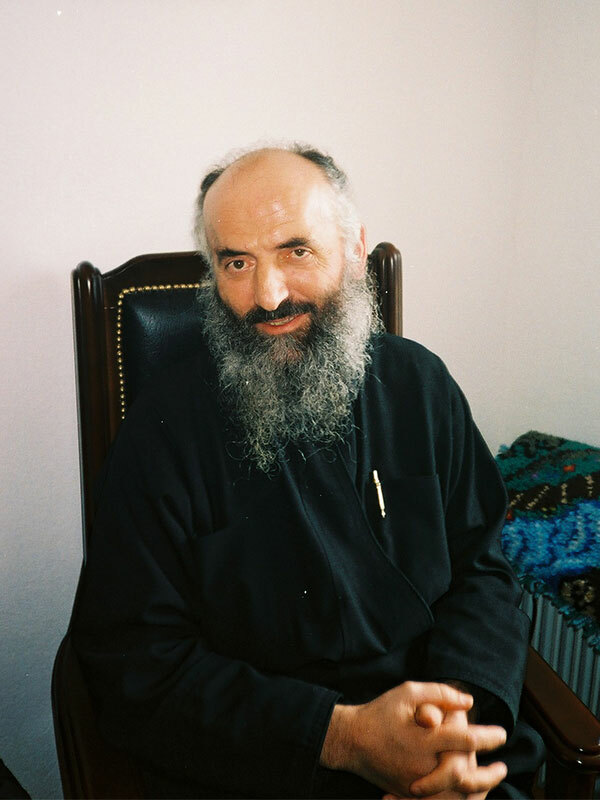 Father Lazar therefore decided to ask the blessing of Bishop Danilo to be allowed to move to the Cell of Piperi monastery. And the Bishop allowed him to go since he believed that Lazar would not be able to endure for long primarily because the monastery was desolated for a long time and without the basic conditions for living. When the father moved to Piperi in 1987, a stream of young people followed. Many came and left, but some of them, very quickly, discovered that they had no need to purchase a return ticket. Their hearts were irrevocably bound to God and to His servant. When the Abbot of Ostrog Serafim passed away, Metropolitan Amfilohije installed Father Lazar as the Abbot of the Ostrog monastery. The night before departure, he could not sleep at all. In the morning his face was swollen from crying, partly because of his concern for the sisters he was leaving behind, and partly because of the new worries and new responsibilities entrusted to him by his Church. His health had already started to fail since his days in the Hilandar monastery. And as time went by, various plagues continued to affect him, just as if he had a magnet that drew them to him. In the end he got the worst disease which quickly took him away from us into the arms of the Lord to whom he was obedient to his last breath. He lived intensely for God; if the energy emitted by Father Lazar in one day could be harnessed and employed on the region’s fertile valleys, the peasants could decommission their stronger team of oxen in an instant. It seemed as if he was the only one who was capable of finishing all the work that he had previously started. And he did finish it by laying down his life for the Lord. 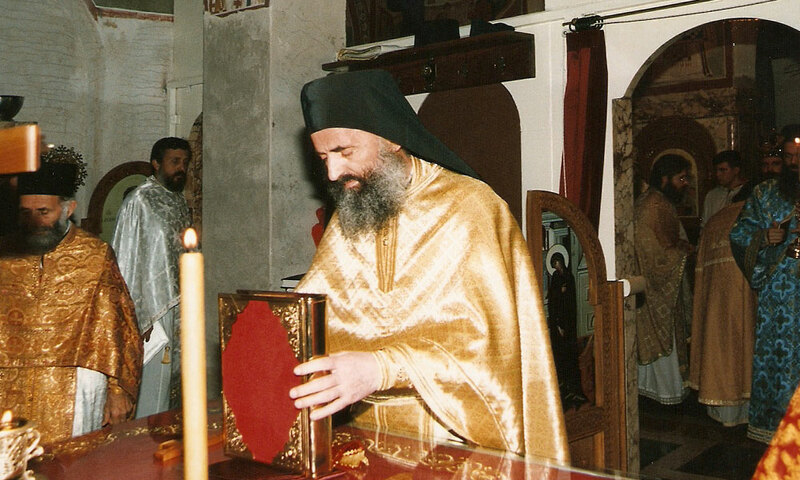 In the year 2000, on the feast-day of Saint Amphilochius of Iconium, Father Lazar fell asleep in the Lord in Belgrade at the Military Medical Academy. His entire life he dealt with a dread of dying in a hospital. The Lord tried him in many trials and found that he was and remained His true servant to the end. “Blessed is the kingdom of the Father and of the Son and of the Holy Spirit.” And only ten days later, the second service celebrated in the church was a Memorial service for him.